And so it happened!. 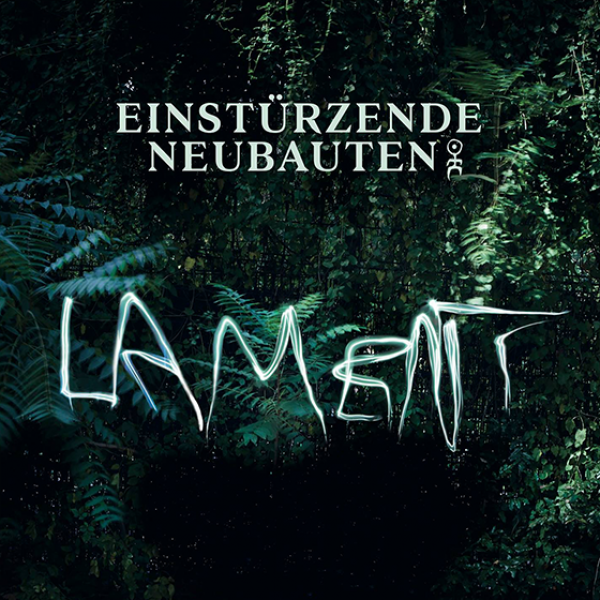 After 7 years of waiting, gentlemen's from Einstürzende Neubauten released a new album. Is it on the same level as the previous ones? Yes and no ….... Why? 1.Neubauten has never recorded a strictly weak album. I must say that I put off listening of this position many time, and my friends opinions were not very optimistic. Somewhere deep down in my soul, I've got that feeling that collective had aged, and the contents of disc will be bunch of crafted tracks. Fortunately, I was wrong about it. Artistic spirit is still present in tracks, but some ideas and solutions are lame. The first sin of "Lament" is "Hymnen", which turned out to be - attention - cover of the UK national anthem.... with revised lyrics! If we consider resonance of the album, it can be justified, though this not appeal to me. The second sin is: using autotune in "The Willy - Nicky Telegram". Mr. Bargeld, why? It just sounds wrong,, that's not how it's done! I understand this technology can be tempting, but why use it in so primitive way? Third sin and probably the biggest mistake: putting melodeclamation on track called "Der Beginn Des Weltkrieges 1914". Ah! - it turns me when I think about those cries and long. The idea of creating music with silence is a noble idea - I think we can all agree - but in a such a way? Under the name of Einstürzende Neubauten? It is a misunderstanding! Defects and defects but Enough! Time to say something good (as I wrote before, this is not the weakest point in the band discography). Hmm...... Intro! Yes, exactly - the Intro! "Kriegsmaschinerie" is a great return to the days of "Kollaps", we are dealing here with chaotically built composition based on cacophony, which brings thoughts about accomplishments (as early as acoustic) of Merzbow. Next point in the album is "On patrol in no man's land" - relatively calm and very warm song, which is above average thanks to the additional bassist vocal. I admit that I took Hacke's vocal as Cave's vocal, but later I shook off from this illusion. Let us move - the third advantage? Divided into three parts, the title track "Lament". Here we can hear obvious references to martial industrial scene. The third piece titled "Peter Pecavi" thanks to background voices could be placed on "Nova Akropola" by Laibach. In fact, as I already noted above it is difficult to rate "Lament" as another work of German collective. They themselves are not helpful, cause they make a statement that this material is suited to be listen on live. As for me, I say this album ranks somewhere between "Perpetuum Mobile" and "Alles Wieder Offen". Is this sentence explaining a lot ? I don't think so. After all, we all know that every album by Neubauten has as many enemies as supporters. P.S. I specially haven't written about lyrical side of album. If someone is curious, then I invite you on the band official site where full interpretation of "Lament" awaits you.